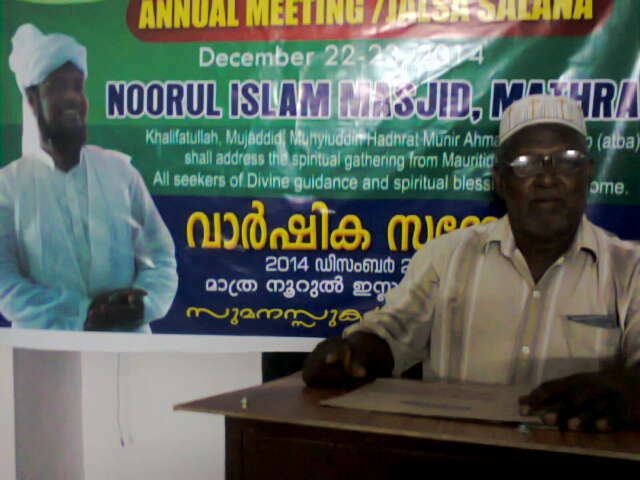 It is a great pleasure for me to address you for your Annual Jalsa Salana in Mathra, South Kerala. I may be far away from you, but you are very close to my heart, in my thoughts and prayers. Today, I have chosen to talk to you about the need for believers to remain ever true and sincere to their faith. 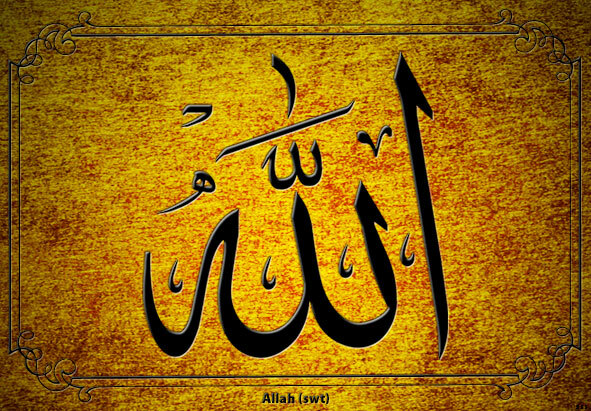 Remember my dear ones, there shall be a thousand, nay a million trial which shall inevitably cross your path, but when you choose to trust in Allah, and keep firm in your faith, and at the same time strive to give your best for the propagation of the message of Allah in the four corners of the world, then definitely Allah shall become your closest Friend and Support, and help you through all ordeals in life. The time you are living is not an ordinary time. Allah has chosen you in this era and guided you and then placed you in His Jamaat, under the leadership of His Messenger, the Khalifatullah. You are not ordinary people. 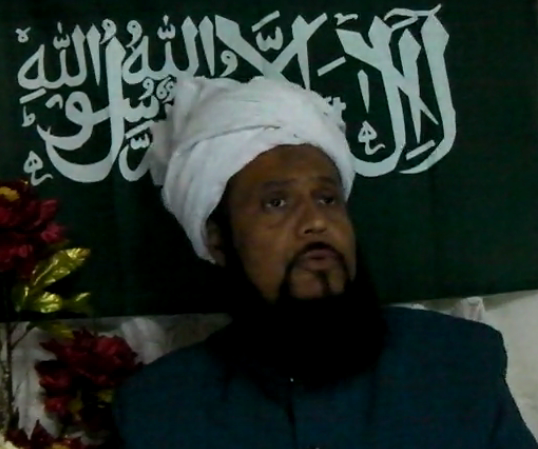 You may think you are ordinary out of your humility, but indeed you are exceptional, and in each and every one of you – provided you are truly sincere – is found the light of different talents which Allah has vouchsafed you to help His cause and message to propagate in the four corners of the world. 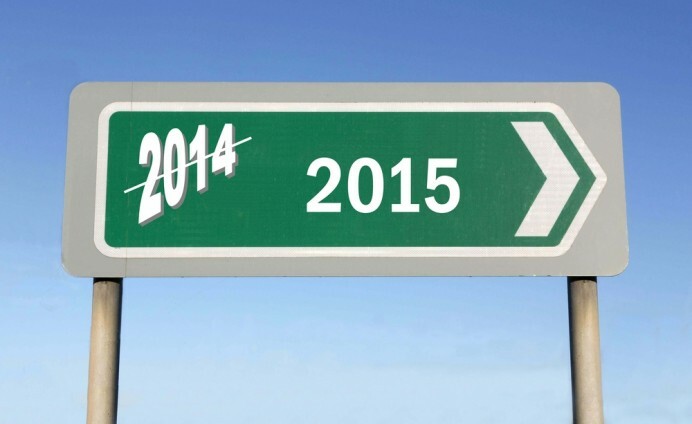 The end of the Gregorian year is drawing to a close; everyone is so busy, so much that he forgets his own soul. December is a month of great temptations. Everyone is preparing for the end of year party, because the fun and entertainment are paramount whatever the circumstance, as an excuse just to relax after a long year of hard and stressful job. Joy or excitation reigns in the atmosphere especially when people have a lot of money. It’s time to spend the hard-earned money. Like you know, the last month of the year allows officials, employees and workers to receive their bonuses or their rewards. So they feel a desire to buy, spend. But buy what? All they have under the eyes, little everything and nothingness. This is a first sign of temptation. They buy clothes and expensive footwear, alcoholic beverages that cost thousands of rupees, they organize parties, banquets, open buffets that cost a fortune. They buy firecrackers and fireworks at very high prices. Everyone thinks to do more than the other, if not to compete for more glory. As for the merchant/seller, he is there to attract customers and to satisfy their needs as much as possible. Often, the (market) place (or place where the sales are being done) is invaded by loud music or songs that wreck the ears. We find the men and women mixed, especially in very narrow places. Many of these Muslim traders do not perform Salat (prayer) or do not close their stores for Salat-ul-Jummah (Friday prayers); for the simple reason of not losing a single client and not to leave any money to escape from their crates. “Command is for none but God.” (12: 41). “His is the sovereignty of the Heavens and the Earth.” (57: 6). “Blessed is He in Whose hands is the sovereignty and He over all things has power.” (67: 2). The ideal of Islamic state (or an Islamic country), like I just mentioned, is righteous life as it further proved by the oft-repeated voice of the Quran, “Believe and act righteously” which forms its leading theme. And to achieve this ideal God says: “Let there arise out of you a band of people inviting to all that is good, enjoining what is right and forbidding what is wrong.” (3: 105). Righteous life is the life lived in strict conformity with divine laws. The Quran is the code of right conduct which equips man to establish the will of God on earth and to lead humanity to its noblest destiny. Righteous life cannot be achieved unless society is purged of evils and virtue prevails. Virtue consists in moral excellence and in conformity of life and conduct with the laws of God who alone knows what is really good. There is no specific form of government prescribed by the Quran and the Sunnah. It seems that no detailed blue prints for the form of government are given so that flexibility be retained as to the adoption of some form suited to the occasion except despotism, for the head of the Islamic State himself is subject to the dictates of Islamic laws. Yesterday, Thursday 11 December 2014, people of Mauritius and Rodrigues followed live on TV and several private and national radio/s the results of the general elections in all 21 circumscriptions till late at night. The results came as a surprise. There have been 10 elections since the independence – 1976-2010, and since then there was never such a low level of participation from voters as witnessed yesterday for these general elections 2014. And this despite the dominance of the two main great political blocs in the electoral campaign, with private, regional and national meetings! We learnt that the two main alliances, the PTR/MMM Alliance and also the People’s Alliance (MSM/PMSD/ML) spent a little more than 73 million rupees in only 2 months of electoral campaign. When one hears about the course of the electoral campaign, especially between the two political adversary blocs, there was the display of hatred and other vulgarities. In many places political agents have been spoiled rotten with free provision of food and alcoholic drinks, and they got several fuel bonds so that they may use their cars (for the electoral campaign). They abused of such monies and enjoyed a lot, spreading money like confetti (that is, spending money in vain things). Now, I relate to you a recent Vision (Kashaf) which overcame me on the 07 December 2014. On that day the two main political blocs held there grand meetings before the elections of 10 December 2014. It was after Namaz Zuhr and Asr, and I was in my office looking for my driving license when suddenly I felt very weak and I had to sit down a bit when suddenly this vision overcame me. The vision lasted 15-20 minutes. I was shown many heads of the Labour Party were falling down and when the vision ended, I understood that in response to the prayers that I made since a long time now against this ruthless Government which is making the people suffer, thus I came to know (there and then) what shall happen to them in the coming elections. And on the spot, a thought crossed my mind that the Mauritian Militant Movement shall not also be spared – when one walks with dirt, one is bound to get the bad odour of that dirt around him – and it is verily what happened! 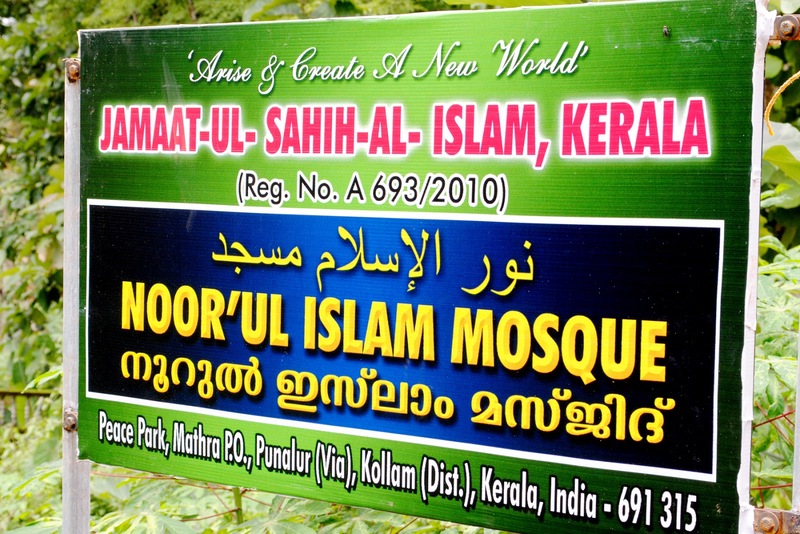 Jamaat Ul Sahih Al Islam- South Kerala (India) organized its Fourth Jalsa Salana at Noorul Islam Masjid, Mathra, 22-23 December 2014. Alhamdulillah. Brothers from Kannur, Alappuzha and Malappuram, and also from Delhi, reached ahead of the commencement of the two-day programme that largely revolved around speeches and extended conversations, discussing the finer points of being a believer in these difficult times where the world around us is largely indifferent to Tawheed and all that it entails in our private lives and public conduct as a community of people with shared interests and concerns, common goals under the banner of Jamaat Ul Sahih Al Islam and the Imamat of the Khalifatullah Hadhrat Munir Ahmad Azim Sahib (atba) of Mauritius. On the first day, all brothers and sisters collectively offered the Tahajjud prayers and it was followed later by the Namaz-e-Fajr. 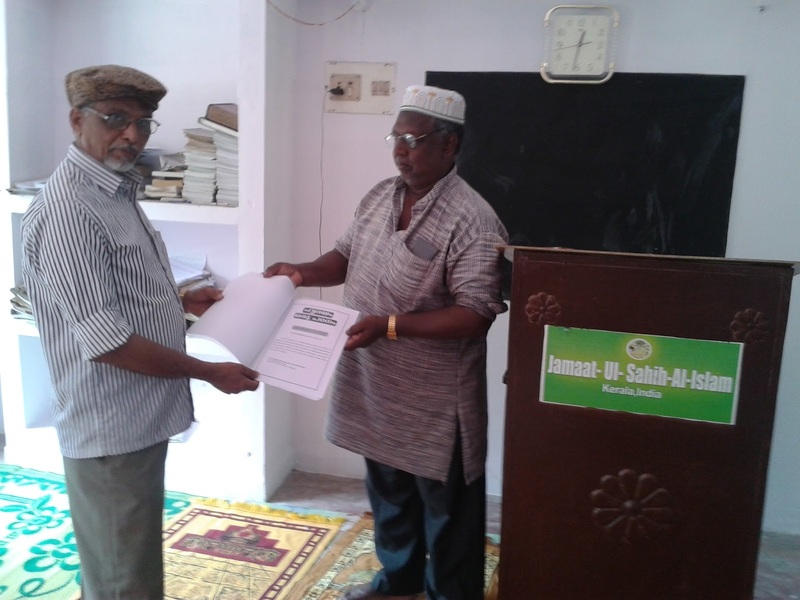 Mukarram Amir Jamaluddin Sahib of Mathra formally inaugurated the Jalsa Salana programme by conducting a Dars-e-Qur’an, immediately after the Fajr Namaz . In his speech, the Amir Sahib pointed to the subtle verities of spiritual wisdom contained in Surah Al Fatihah and the enduring promise of Divine guidance available to all true and sincere believers in every age till the Day of Judgement. At 12.00 noon, all members assembled for a new session. Based on the recent series of Friday Sermons delivered by the Khalifatullah Hadhrat Munir Ahmad Azim Sahib (atba), the Amir Sahib explained at length the significance of purification of heart for spiritual life. 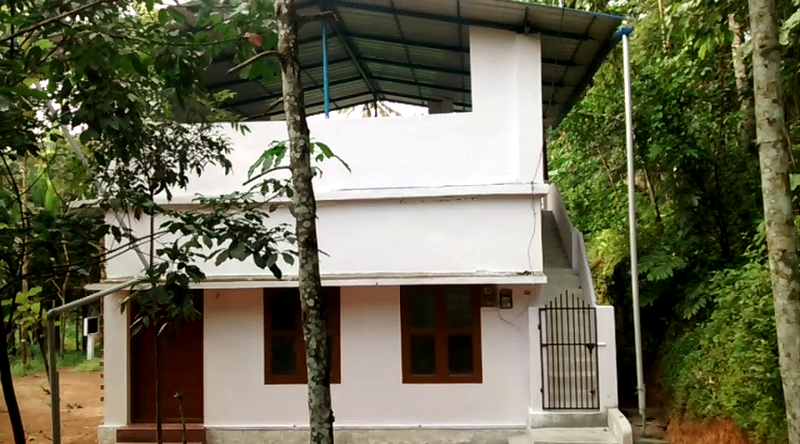 A Malayalm Translation of the booklet, “Heart: A Study”, being a Translation of the aforesaid series of Friday Sermons of Huzur (atba) was releasd on the occassion. Senior member Saleem Sahib recieved the first copy of the Book from the Mukarram Amir Sahib. After the Inaugural Session Namaz-e- Zuhar was followed by Lunch and rest. First of all I thank Allah (swt) who has given me the opportunity to continue the subject of the sermon which I addressed you last Friday. Like you all know, there remain only a few days for the General Elections in Mauritius, Rodrigues and Agalega – Wednesday 10 December 2014. For all people of Mauritius, this General Election to be held on 10 December 2014 is a prospect to make Mauritius a second republic and whereby the ex-leader of the opposition shall become the Prime Minister of the island for 5 years, Insha-Allah, after having struggle really hard for the goodwill of all Mauritians. He is verily a man who deserves that position, with the intelligence, competence, and capacity as state leader. He is a honest man with great visions for the country. 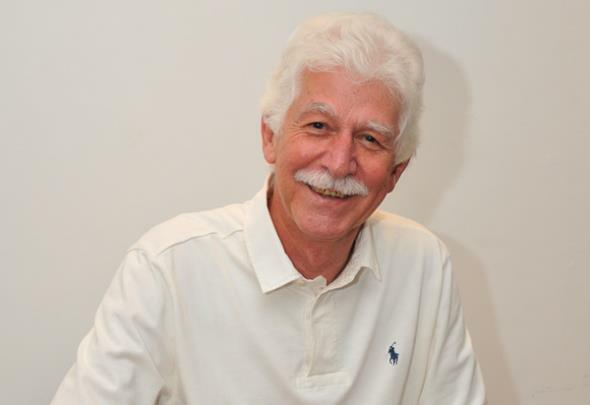 He spent 47 years in politics, struggling for all Mauritians, and he even escaped death (when there was an attempt to kill him when he was a young man) and ever since his young days, he plunged into politics and struggled for the rights of workers so that they may get their dignity and he protected them from being crushed by their employers. He gave a lot of himself for the people of Mauritius, but the Mauritians did not (or refuse to) recognise his value, competence and capacity. Very often the politicians and people from different religions who do not have any real competence, along with the socio-cultural groups have crushed this able man, honest, whereby nobody can say that he is power-thirst or that he stole something, or even was involved in fraud and corruption. He did not also protect male and female allies. That honest man is Paul Raymond Berenger, the historical leader. It is the fanatics who have all the time tried to create all sorts of communal problems to bar him from becoming Prime Minister. This shows to you that the sincere, honest and devoted people have all the time great enemies and adversaries who try to create all sorts of problems and spread communal talks for them. Such is the case also for Paul Raymond Berenger who had to face all these people who do not want him to become the Prime Minister of Mauritius. Like you all know here in Mauritius, as well as in Rodrigues and Agalega, we entered the phase of general elections which will be held on Wednesday 10 December 2014. Some 74 political parties have registered for the general elections 2014. For a small country like Mauritius with a population of about 1,200,000, there are the two major political blocs who are engaging in polemics everyday with their congresses in the several circumscriptions, meetings, house-to-house visits etc. 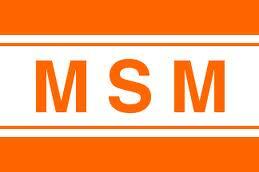 There is firstly the PTR/MMM Alliance, with the two leaders Navin Ramgoolam and Paul Berenger and there is also the other political bloc, MSM-PMSD-ML which call themselves “People’s Alliance” (Alliance Lepep). The motto of the PTR/MMM Alliance is a united people, a modern country and their aim is to make Mauritius a second republic, while the legislative elections stand along the presidential one (a proposal forwarded in the wake of a possible victory at the elections with at least three-quarters of seats). 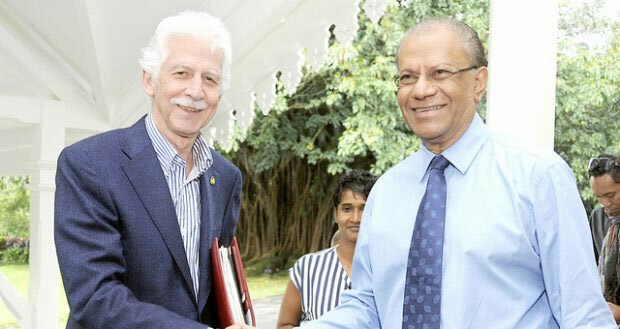 Therefore, Paul Berenger shall be then the Prime Minister for 5 years and Navin Ramgoolam shall be the president for 7 years. On the other hand, the People’s Alliance is completely against making Mauritius a second republic. According to their analysis, these two heads of the PTR-MMM Alliance (Navin and Paul) are power-thirst and are primarily seeking their personal interest instead of that of the people of Mauritius. They claim that this new plan (the second republic) shall pave the way for more dictatorship and they claim their own People’s Alliance is not at all like the adversary alliance, saying that they have formed an alliance for the people and (are) with the people. They further claim that they are not seeking power and that they are here to care for the people. Therefore the Mauritians – an intelligent people – should bear in mind that Mauritius neither belongs to any political bloc nor to the majority, in terms of religious communities. On Wednesday 10 December 2014, each Mauritian shall have the opportunity to do a good clean up and remove all those who are power-thirst, fraudsters, incompetent and those who are sucking the blood of this nation in cups and thus reducing the Mauritians to a life of misery. Verily, everything is becoming quite expensive. The cost of living is high; price of all commodities have risen and there is no law and order as it should have, and consequently, there are lots of crimes, thefts, rapes, unemployment etc. There are a lot of graduates and professionals – doctors, lawyers, are other professionals – who are jobless. Their families sacrificed a lot to send them for further studies while others are amusing themselves with state money.